Blue Snaggletooth is the informal name of a rare Kenner action figure from 1978. 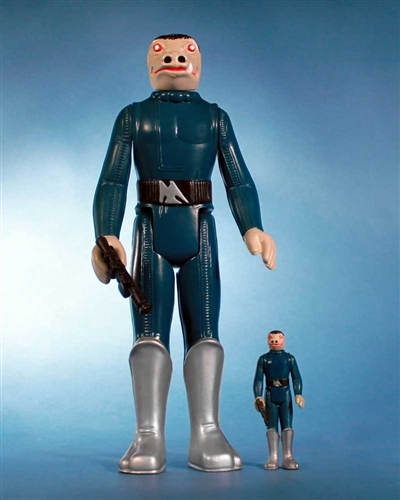 Released as part of the Sears “Star Wars Cantina Adventure Set”, the Snaggletooth figure was intended to represent the character who would later be known as Zutton. A limited edition of 2,000 pieces. This special piece will come packaged as the original figure was in a blue poly-bag...just like when you were a kid only BIGGER! Blade II is a 2002 American vampire superhero action film based on the fictional Marvel Comics character Blade. It is the sequel of the first film and the second part of the Blade film series. 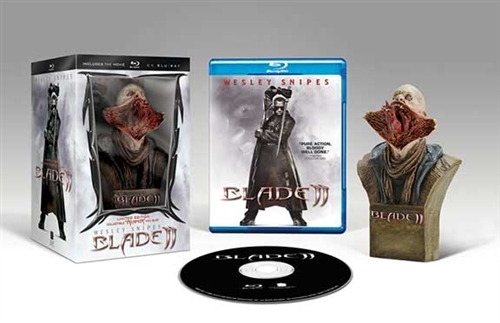 This special limited edition Blu Ray release for San Diego Comic Con 2012 includes a bonus Blade Reaper Bust. 500 Pieces. 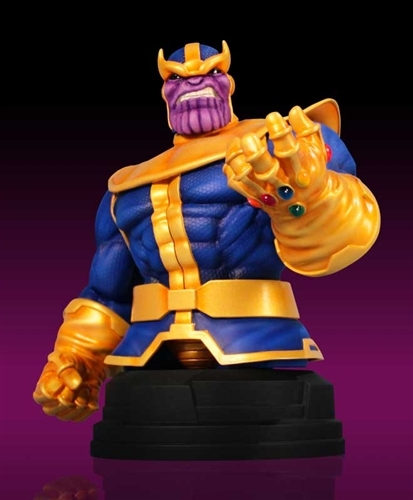 Thanos. The Mad Titan. Deviant Eternal. Wielder of the Infinity Gauntlet. One of the oldest villains in the Marvel Universe, Thanos was introduced during the Bronze Age of comic books. Limited to 500 pieces worldwide. These three pieces join the already announced lineup coming from Gentle Giant for the Con. You can check out all the stuff that'll be at the convention center just waiting for your dollars right here on GG's page. If you want in, you might want to click on through to that and sign up for the company's Premier Guid membership- that's the only way you can pre-order and make sure you're gonna get exactly what you want.